There’s a new brand of ATV tires that just launched out of California. 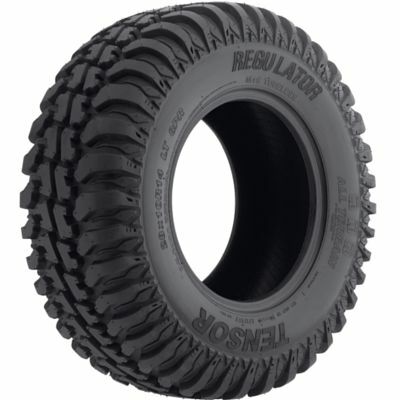 The brand is called Tensor Tire and their debut model is The Regulator A/T . This new model features an 8-ply radial construction and is DOT approved. It’s designed for side x side’s for rocky trails and desert rock crawling. Tensor ATV Tires have made a great first impression with riders because of the awesome grip and quietness when run on hard surfaces.